Its the second month of the New Year and time to start planning your vacations. There are many places in South India where you can relax and enjoy this February. While the beautiful state of Karnataka mesmerises you let spirituality be on your mind when heading to Tamil Nadu and who of course can refuse a trip to the backwaters of Kerala where you can rejuvenate yourself and enjoy the serenity of nature. All these places offer you some of the best getaways in the month of February. With their varied culture, history and traditions it is absolutely amazing to travel to these places and enjoy the many attractions that they have to offer. Also there are many places where you can rejuvenate yourself and be cut off from the rest of the world. Here is a look at a few places that you should have in you travel itinery for South India this February. Click Here to avail 50% OFF on Hotel Bookings. Araku Valley is a famous hill station that lies in the Vishakhapatnam district in the south Indian state of Andhra Pradesh. The town is situated amidst beautiful locales of Eastern Ghats and has a rich cultural as well as traditional past. The place is perhaps the most beautiful hill station in the south because it still remains unspoiled by commercialism of tourism. The valley has some real interesting places to visit which includes the Tribal Museum, Borra Caves, Sangda Falls and Padmapuram Botanical Gardens. Besides these, the coffee plantations are a must visit for those who want to indulge themselves in the flavors of nature. Lepakshi is a charming small hamlet situated in Andhra Pradesh. It has a lot of historical and religious significance for the locals and is famous in south India for three temples that are dedicated to Lord Shiva, Lord Vishnu and Lord Virabhadra. Another famous attraction of this place is a small hillock which is shaped like the back of a tortoise. The hill has been named the Kurma Saila and located on the hill are temples of Sri Rama, Raghunatha, Veerbhadra, Papanatheswara and goddess Durga. So thouse planning a religious tour can head on hear for some spiritual serenity. Seeking for adventure? Then head to the town of Banavasi loacated in northen Karnataka. The town is situated amongst the forests of Western Ghats and is a perfect getaway for nature lovers and wildlife enthusiasts. You can go trekking on the hills or head to the nearby forests to capture a glimpse of the wildlife here. Dandeli is a small town located in the Uttara Kannada district of Karnataka. It is surrounded by the dense deciduous forests of the Western Ghats and is a renowned adventure sports destination in South India. It is also a prominent tourist destination as it is considered to be one of the top white-water rafting destinations in India. Palakkad, otherwise known as Palghat, is a district in Kerala that lies along the mountain ranges of the Western Ghats. Endless stretch of palm trees, green carpeted landscapes, dense tropical forests and undulating hilly terrains make Palakkad a visual treat to tourists. By contributing massively to the rice production of Kerala, Palakkad has rightfully grabbed two titles: ‘The Rice Bowl of Kerala' and ‘The Granary of Kerala'. Alleppey is the land of lagoons and has been rightly been named 'Venice of the East'. The enchanting backwaters and the carpet of green leaves visitors speechless. An ideal romantic getaway in Kerala, it is best toured on a houseboat which can be taken on hire. Should the skies open up then this place turns completely magical and is like a beautiful picture painted on a canvas. Lakshadweep is set of 39 islands and has fast become a tourist hotspot, especially for those sold to the idea of a secluded sun and sand vacation. With over 4200 sq km of lagoon area and 36 sq km of island area, there is something for everyone here. The islands with its vast coastline offers to its visitors many beaches and lots of watersports! The driving factor backing Lakshadweep's success as a tourist destination has got to be the way nature has been preserved on the islands. 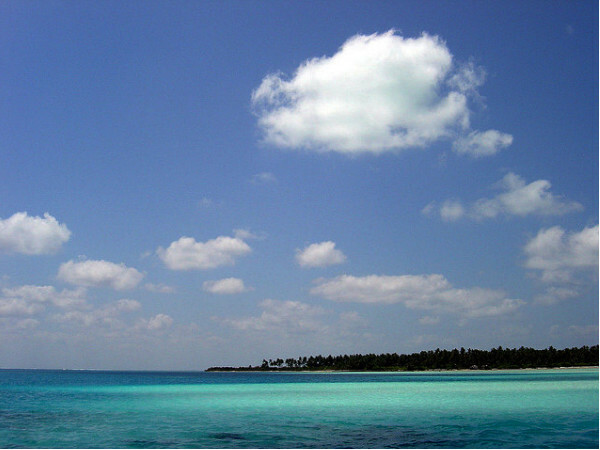 The two major islands are Agatti which houses Lakshadweep's domestic airport and Bangaram which is a tourist favorite. The entire setting of Lakshadweep can't help but make you wonder if the place was built for tired city dwellers in search of a break. Fishing is a great way to distress and numerous opportunities prevail at Lakshadweep to fish. Scuba diving is another popular tourist activity. Karaikal, an ancient temple town famous for its Lord Saneeswara temple, makes for a complete tourist destination for tourists and pilgrims alike. Its sandy beach, the city's rich French cultural heritage, the beautiful temples and the port are sure to interest one and all. The major attraction in the region are the Saneeswara temple,Sri Kailasanath Temple, the Navagraha temples and the Ammaiyar temple. Besides temple hopping, tourists could also relax in the beach and go boating in the backwaters of the Bay of Bengal. Tranquebar, or Tharangambadi as it was formerly known, is a town in Tamil Nadu's Nagapattinam district. Tharangambadi literally translates to "land of the singing waves". One should visit Tranquebar to see some fine examples of Danish architecture. Fort Dansborg (Danish Fort) is one of the highlights of Tranquebar, a perfect example of Danish architecture that is hard to find elsewhere in India. Medak is a municipal town in the state of Telengana and lies at a distance of about 100 km from the capital city of Hyderabad. It has a very interesting history associated with it. The town was at the height of progress during the reign of Kakatiya dynasty. The Kakatiya king built a citadel around Medak to protect the town from any sort of invasion. This citadel was constructed over a hillock and was named Methukurdurgam. It was also popularly referred to as Methukuseema by the locals. ‘Methuku' is a Telugu word that means cooked grains of rice.